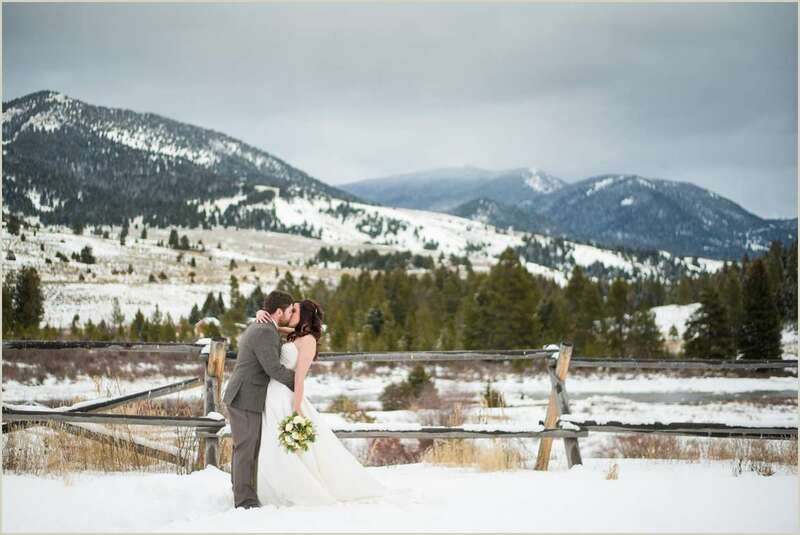 Maybe some people wouldn’t get jazzed to drive across three states in the snow, but we sure do! 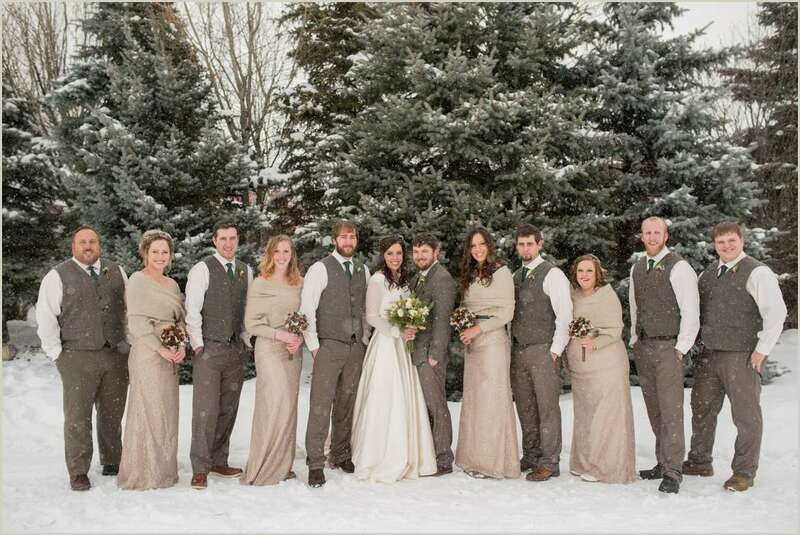 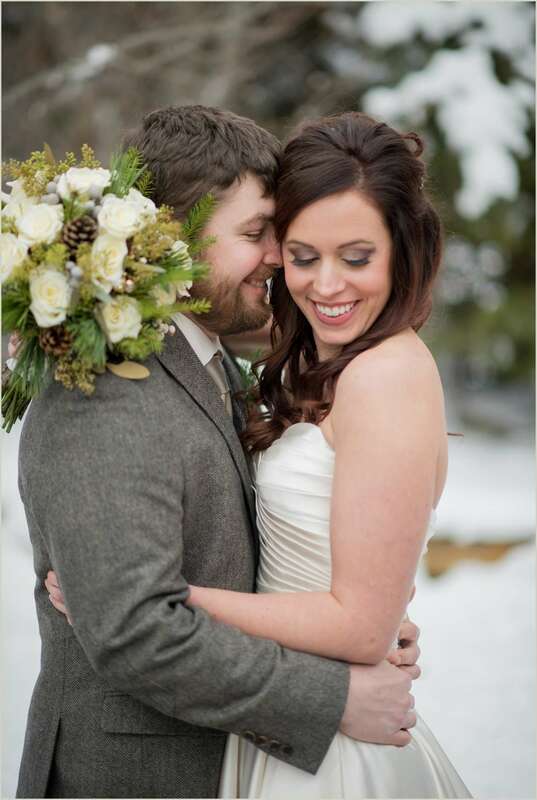 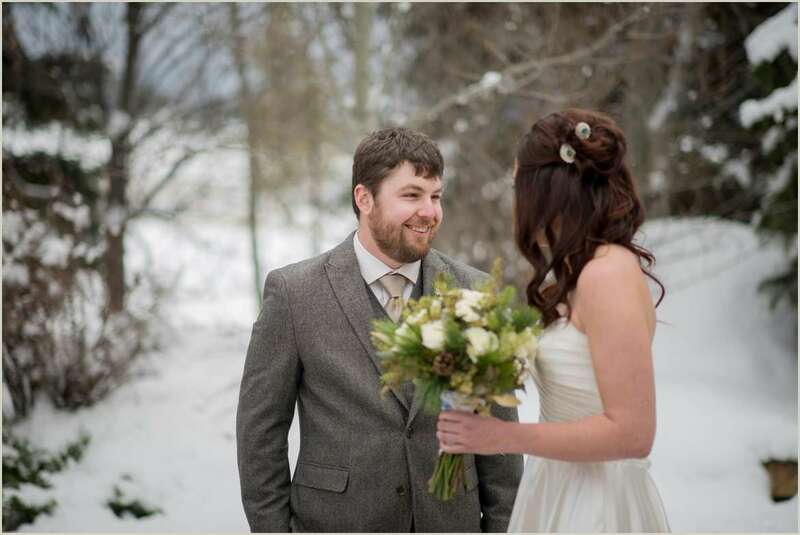 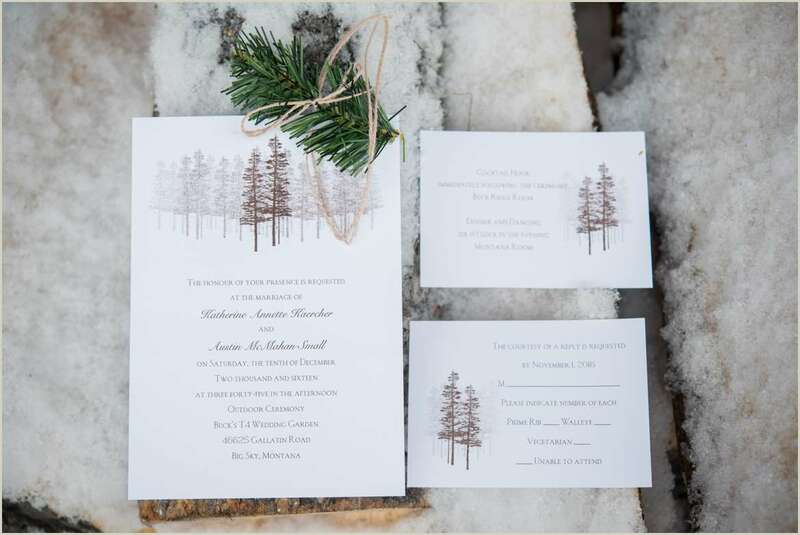 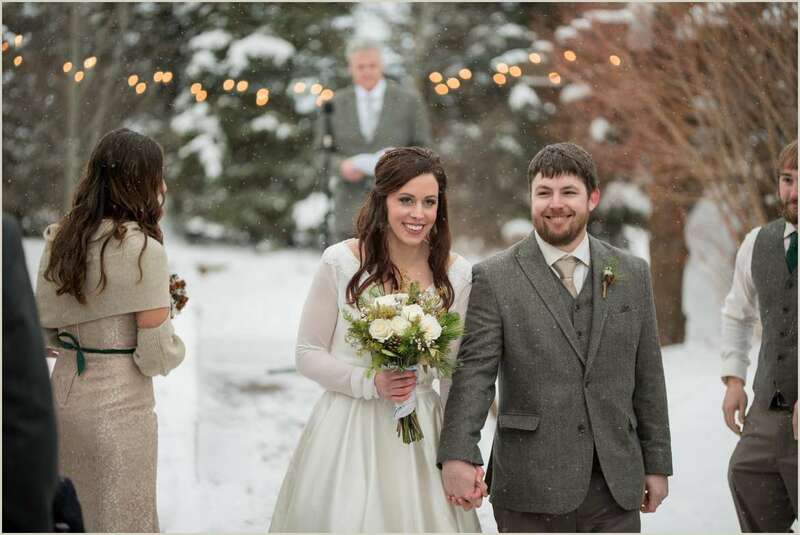 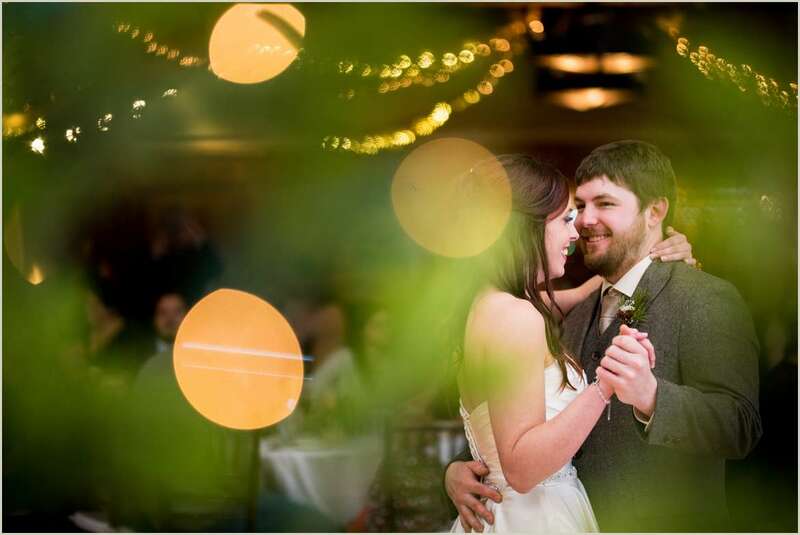 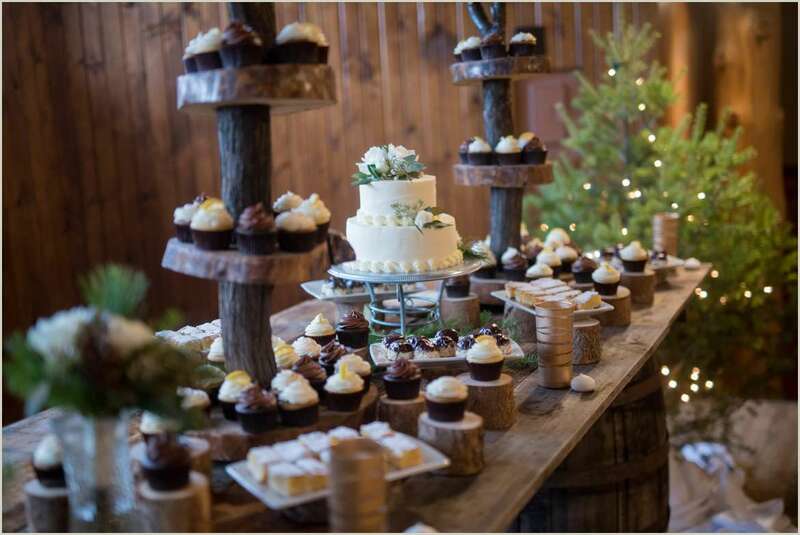 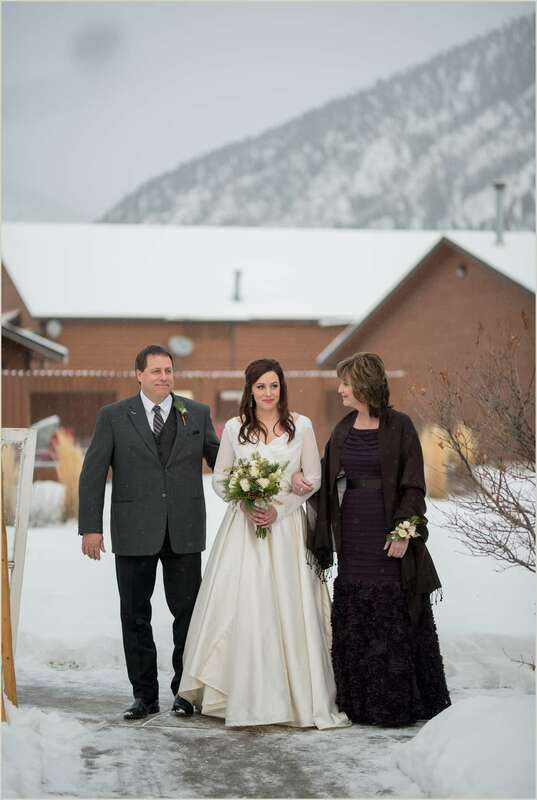 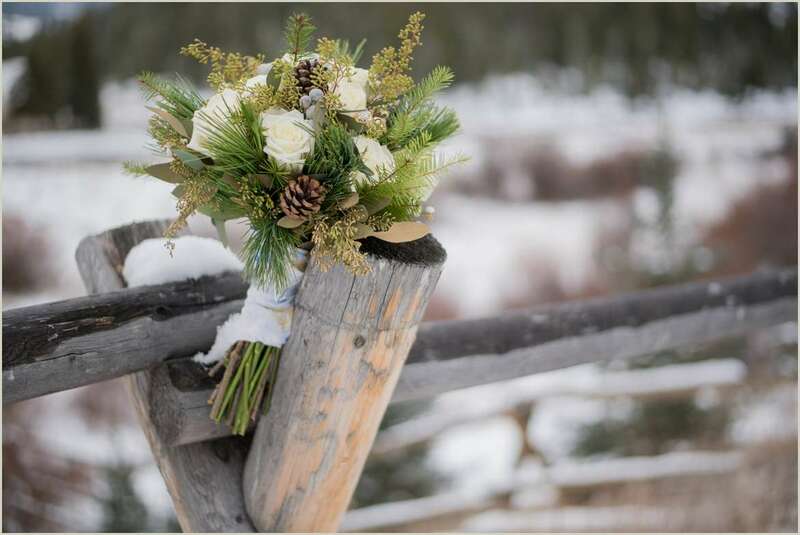 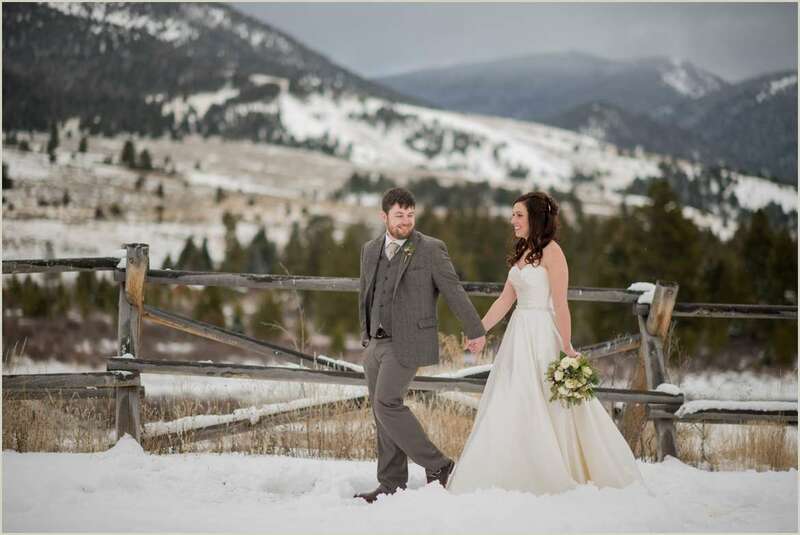 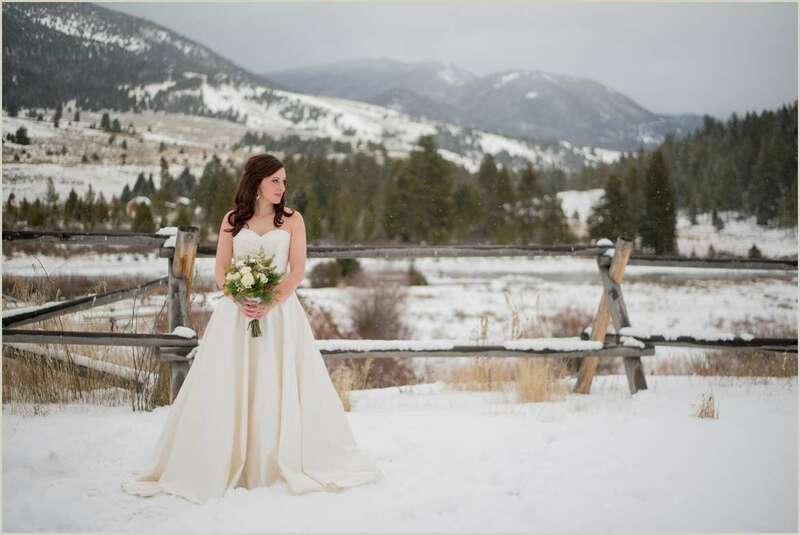 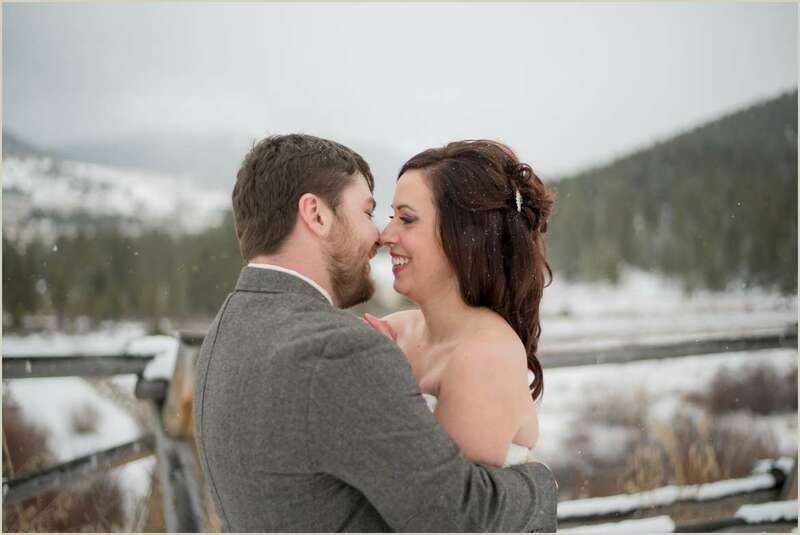 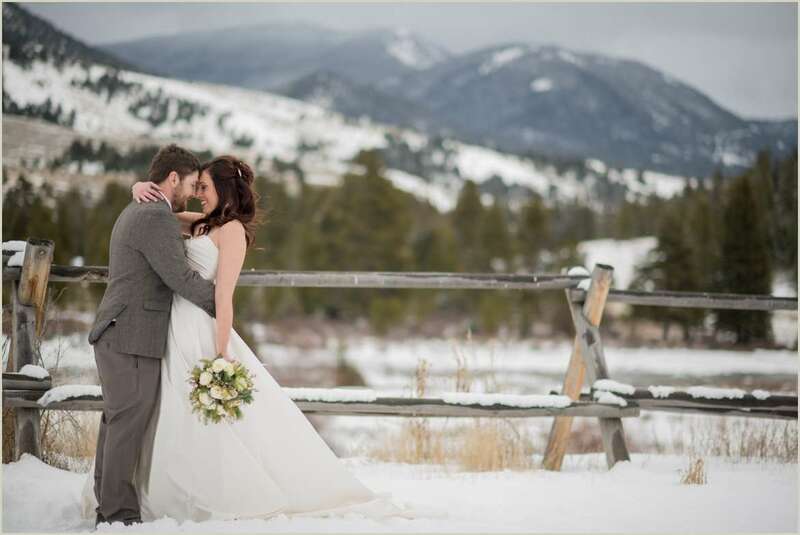 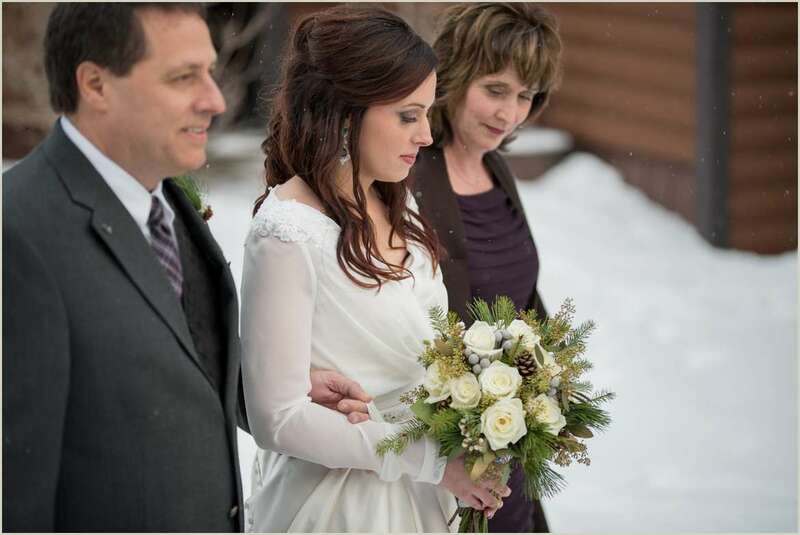 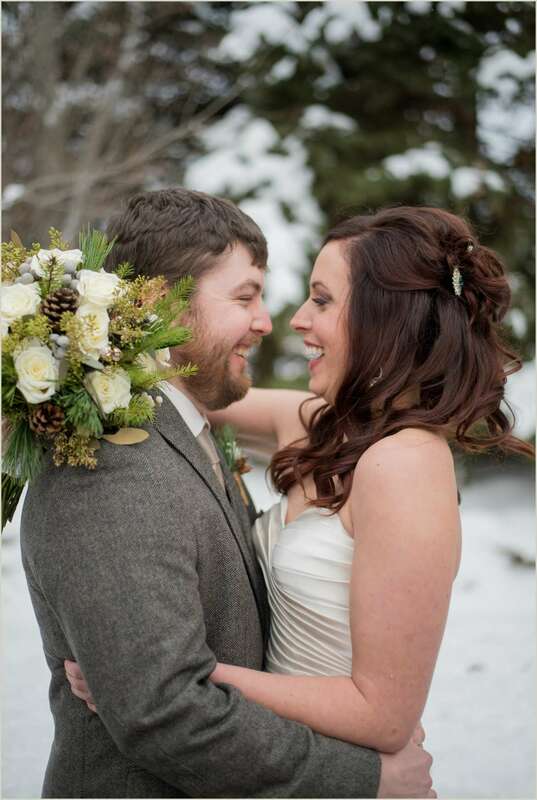 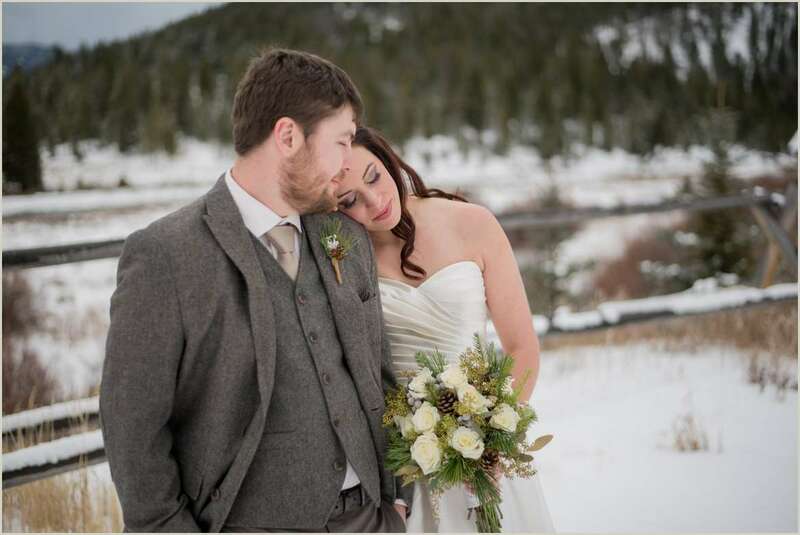 We were so excited to head to Montana for Kate and Austin’s Winter Big Sky Montana Wedding. 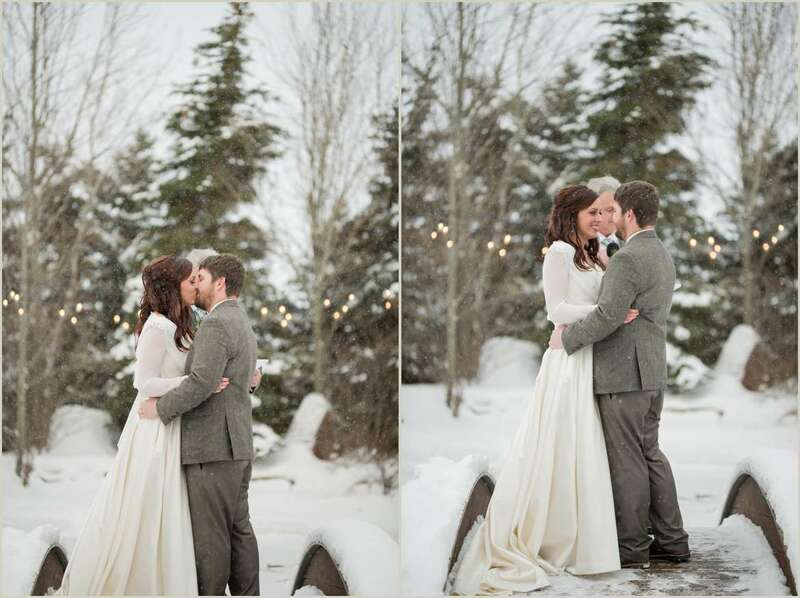 It had just become a perfect winter wonderland the day before their wedding, with snow still falling that day. 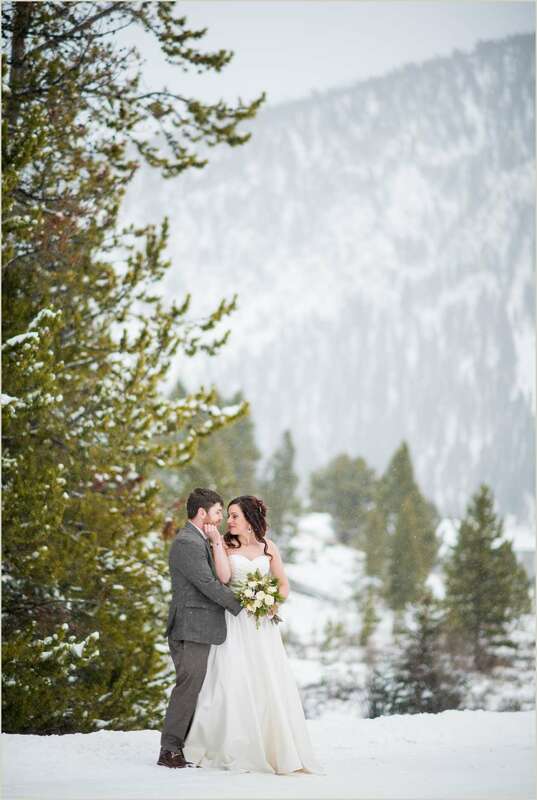 It isn’t hard to tell that we absolutely love winter. 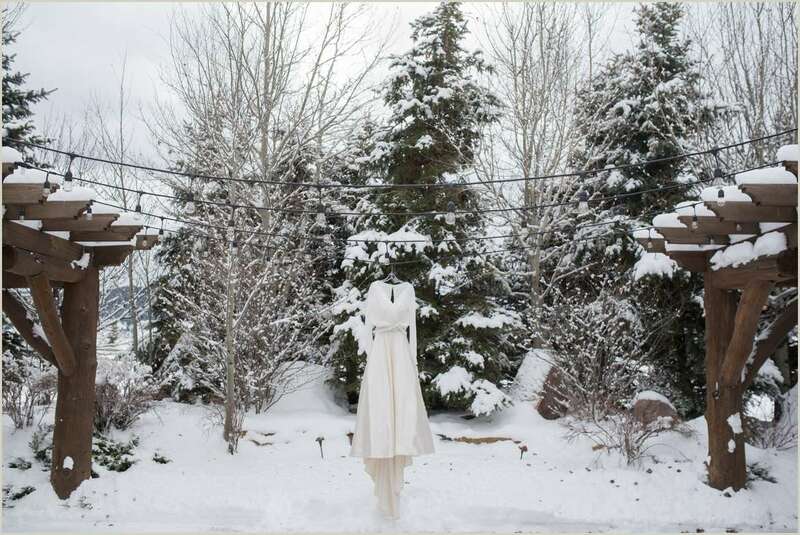 The snow automatically makes everything more beautiful and romantic in our eyes. 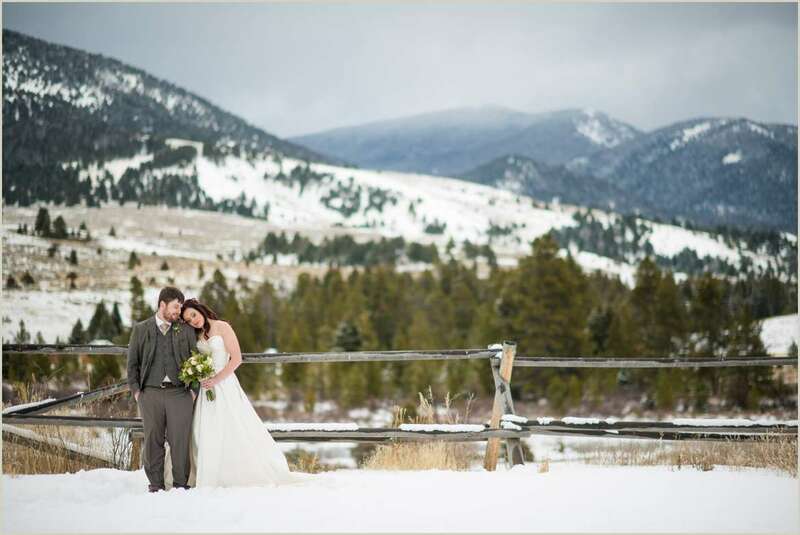 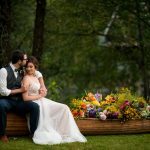 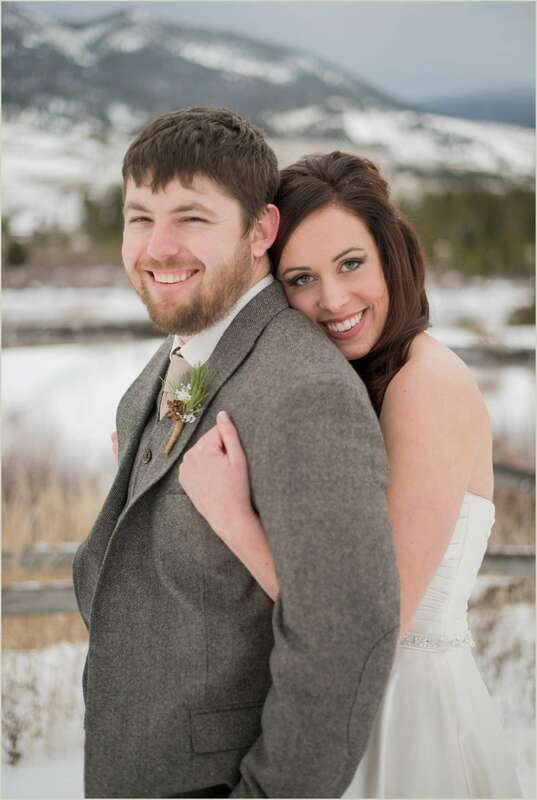 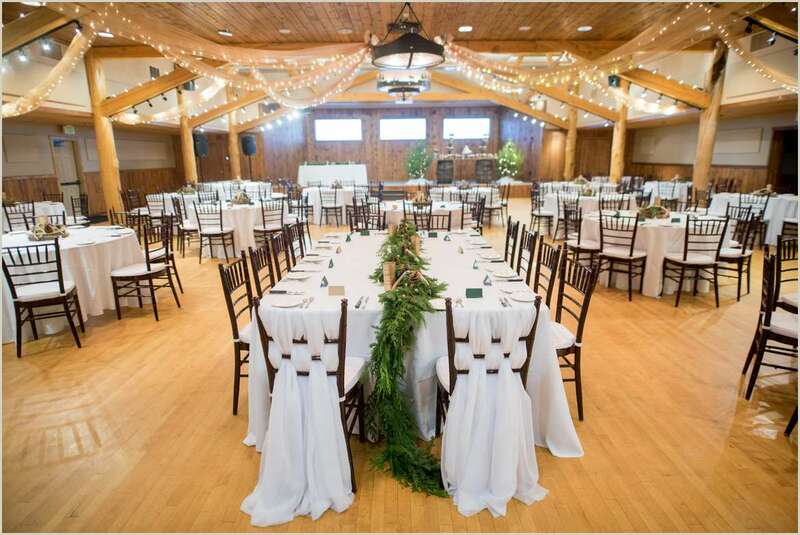 Kate and Austin held their wedding at Bucks T4 Ranch, which was an awesome lodge with a long history in Big Sky. 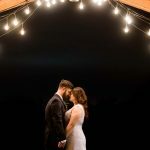 Kate and Austin (and especially their guests!) 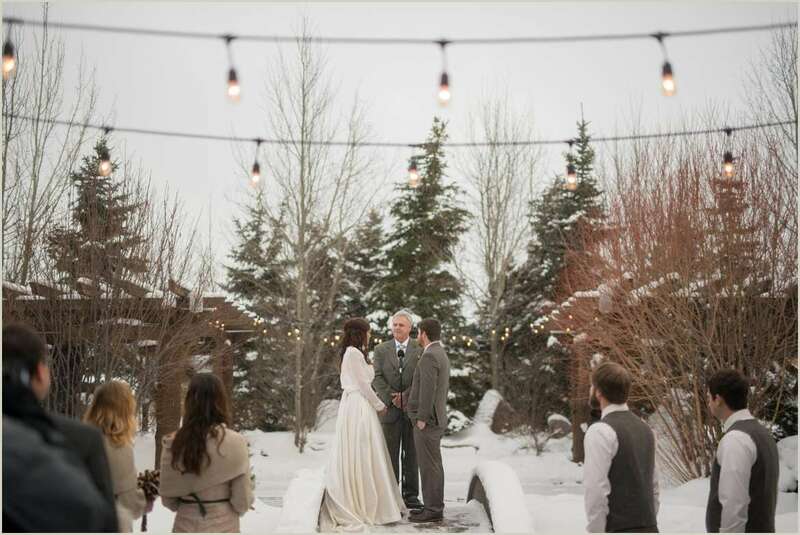 were brave enough for an outdoor winter wedding in the amazing courtyard at the ranch. 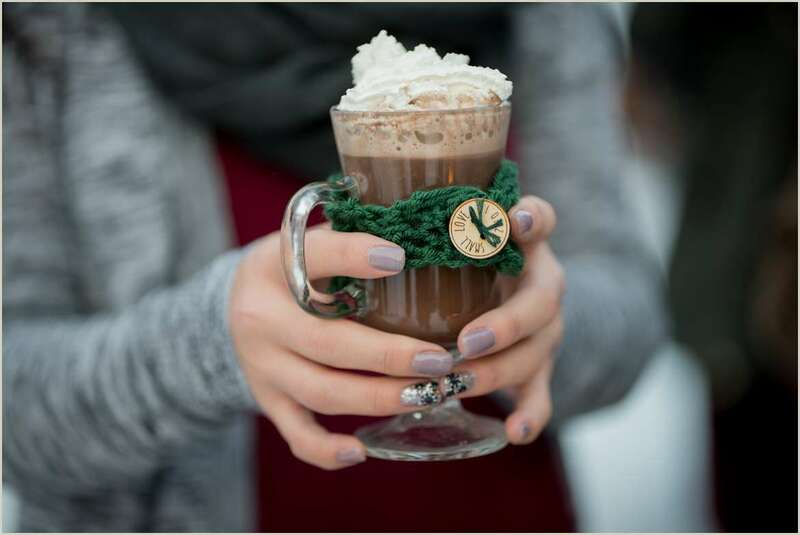 Guests were greeted with a hot chocolate bar, and hand knit mug warmers as favors. 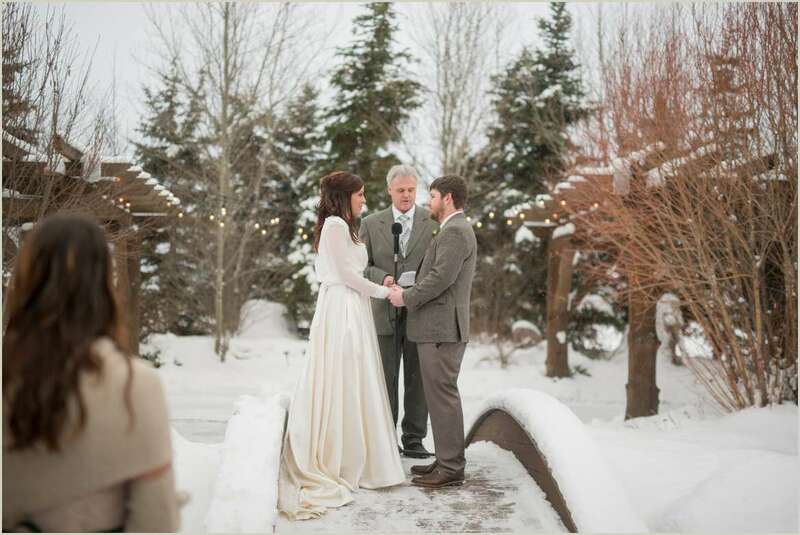 The hot chocolate kept everyone cozy for their short but very sweet ceremony. 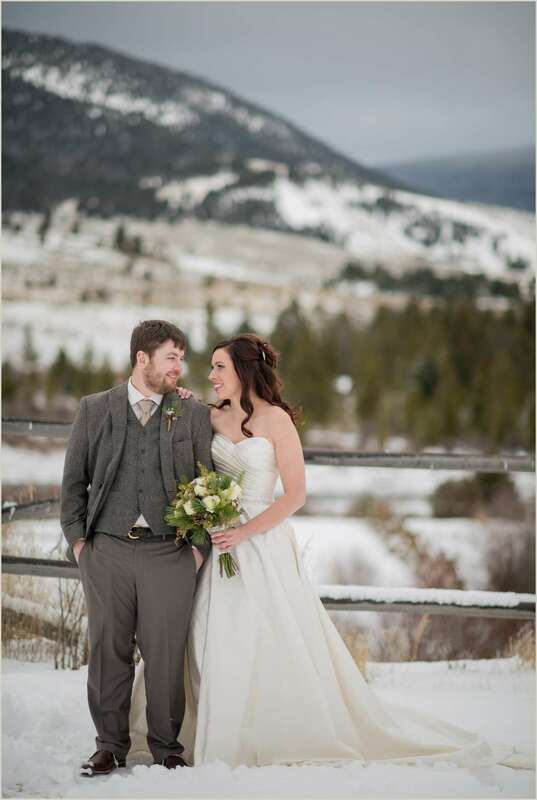 We had loads of fun with Kate and Austin taking advantage of the beautiful views of snowy trees and mountains around Big Sky. 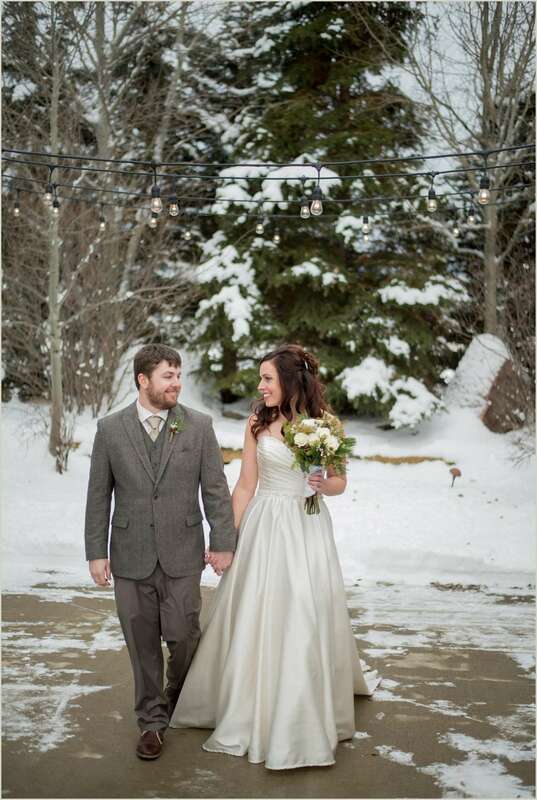 These two were champs and totally prepared for the snowy weather. 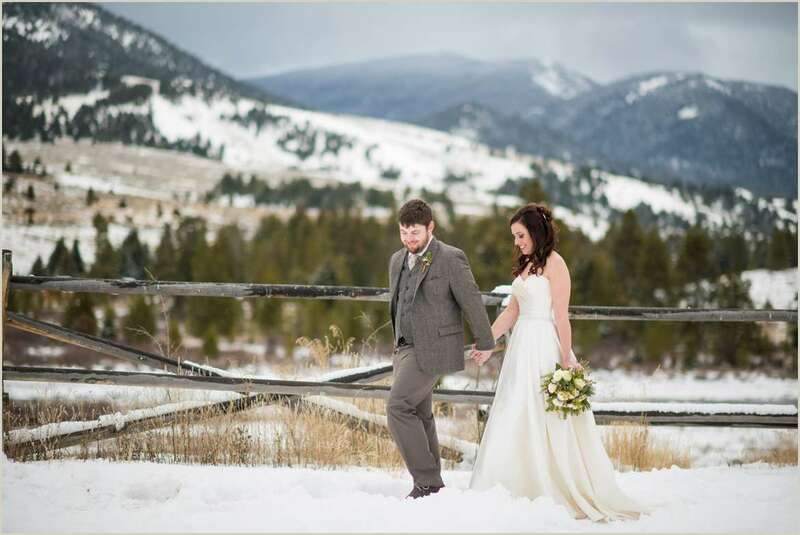 They were willing to trudge through even the freshly fallen snow to get a beautiful view. 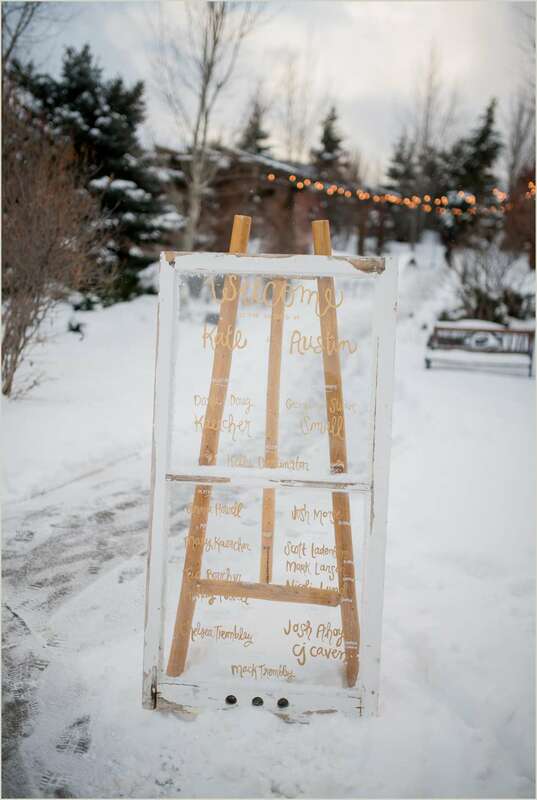 We love adventurous spirits like that!